I’ve just read yet another article describing the hand-wringing over school leavers not being equipped with the skills or proficiencies needed to succeed in ‘the workplace’. Meanwhile, as a parent and creative practitioner I’m surrounded by people who see play, experimentation and creative thinking as fundamental to creating rounded, happy children. We point to the huge evidence base that play and creativity aid problem solving, encourage the brain to make links between different areas of learning and give important space for children to learn through making mistakes. Kids become more resilient, discover new interests and take an interest in their own learning journeys. Why are we making kids jump through hoops when they could enjoy the whole damn obstacle course? 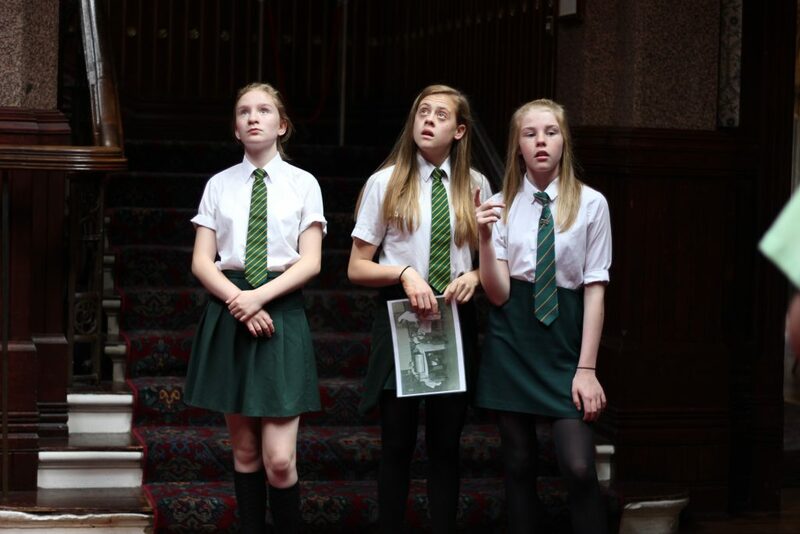 Students from Swanshurst School documented their learning journey into treatment of war casualties using film. It’s unfortunately unsurprising that the joys of arts, creativity and culture are slipping off the curriculum. Just weeks into entering office in 2010, the Conservative / LibDem Coalition decided to trash the ‘Creative Partnerships’ programme which involved strategic, high quality arts and culture provision in schools. Subsequent educational reforms have squeezed music, drama and art out of the curriculum at the same time as funding cuts have hammered schools’ ability to provide extra curricular activities. With OFSTED inspections deciding the fate of schools and widespread pressure for local authority schools to transfer to academy status, staff can be forgiven for focusing on getting the ‘basics’ right at the expense of a more holistic school experience. The result is a two tier system where only children from families with the resources and capacity to support creative activities outside of school come into contact with experiences which were commonplace a generation ago. With this in mind, I’ve been considering how my own practice can develop to meet this challenge. 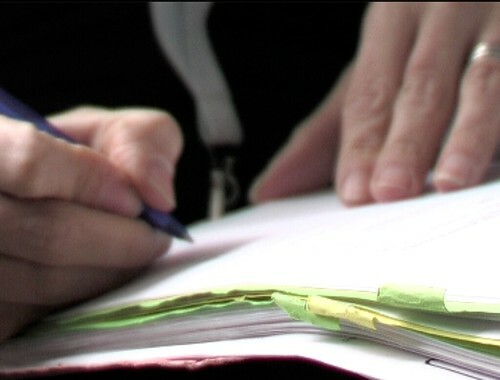 Work in schools has always formed a strong strand of my work – film lends itself so well to exploring narrative, unpicking topics in the curriculum, developing literacy and presentation skills and sharing ideas with others. It also involves technical skills and teamwork which create new and often surprising new dynamics in the classroom. 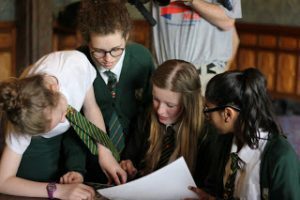 ‘Help for Hedgehogs’, ‘Monoxide Mole’ and ‘Untold Stories: Birmingham’s Wounded Soldiers from WW1’ all involved pupils in using film to share ideas and information with a wider audience. Moreover, we had a lot of fun in making them! 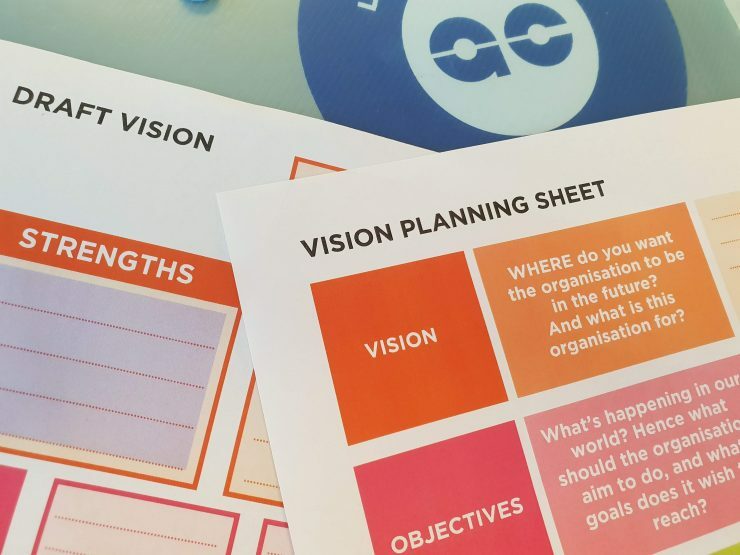 Last week I started the first step on ArtsConnectWM’s ‘Planning for Work with Formal Education’ course. It aims to bridge the maddening divide between schools who want to develop a broader, more creative curriculum and the talented, passionate individuals and organisations who are champing at the bit to bring their work to children and young people. 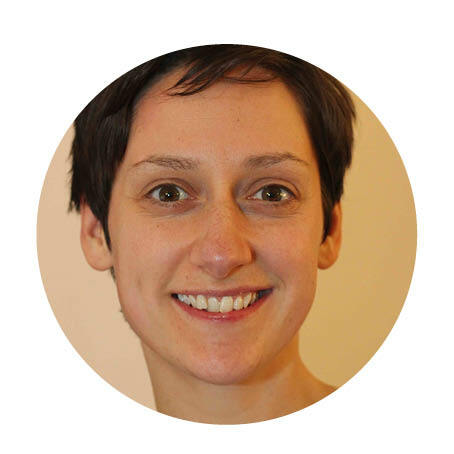 We heard from Sarah Worth of Highly Sprung who have been doing some really interesting and innovative work to co-deliver key learning in schools through the medium of physical theatre. I documented a similar project five years ago when DanceXchange and Dance 4 piloted ‘Discover Dance’ to explore how dance and movement could help enrich and embed learning. Discover Dance from Rachel Gillies on Vimeo. Sarah discussed was how this type of work can continue in today’s climate. Excitingly, Highly Sprung have been collaborating with academics to bring their research into schools. So what a microbiologist in a university laboratory is viewing under a microscope can be enacted physically in a school hall. They are also clear about the benefits of long term, strategic partnerships with schools. It’s inspiring stuff. My particular passion is for finding ways to bring local history into the classroom to develop pupils’ interest in their own heritage. For me, knowing my own family’s story and understanding the development of the area where I live has helped me to feel grounded and settled in who I am and where I have made my home. It also reminds me that people like me can have agency in shaping the world around me and make a difference. It’s about citizenship, it’s about making connections with elders in our communities, it’s about standing on the shoulders of giants as we forge our paths. I’ll be using this blog to share some of my ideas and reflections as I develop my strategy for working in schools. I am keen to explore more collaborations with artists and arts organisations as I go. There are a few things on the horizon which I hope to get my teeth stuck into, so come back to check in if you are interested! In the meantime, do get in touch if you have experience of arts and cultural education in schools. If you are a teacher then what are you currently engaged in? What works well? What isn’t working? What is preventing you from doing what you would like to do? For the creative practitioners amongst you, how have you ended up working in education? What does high quality provision look like? What are the factors influencing your ability to provide the kind of sessions you want to? Who are you partnering with? And how is work funded? Are we dependent on NPOs with salaried employees and funded educational programmes to deliver school projects or are individual artists in a unique position to shape the agenda? I’ll leave you with an inspiring short film which recently featured on the BBC. I recently tentatively wrote a little bit about some of my explorations into thinking a bit more about my role as a film maker or storyteller, about how I can develop my work to have more impact and about how I can collaborate with others who inspire me. When I reflect on the most enjoyable and satisfying projects that I’ve worked on, they have consistently related to using oral histories and archives with young people. I see participatory heritage projects as a starting point for participants to understand more about who they are, how they can connect to the world around them, how they fit into the wider picture and how change happens in society. Pupils are turned off learning about people and places which are distant geographically, historically and in relation to their own lived experiences. Yet when events from the past are presented in an exciting and relevant way, rather than a series of facts to be digested and regurgitated, really interesting things begin to happen. When they play a role in taking ownership of the work then things get really exciting! The Friends of Moseley Road Baths’ ‘Pool of Memories’ project was one such project. It linked pupils’ experiences of swimming at their local swimming pool to the experiences of people who had swum, bathed or worked in the building in the past. Through tours of the building, online research and oral history interviews, we created some very passionate champions for local swimming facilities! Heritage Projects can also give space for young people to open up about their family’s personal stories. Here is an old film created for The Lichfield Festival by a pupil about her Great Grandfather’s experiences of military service in North Africa in WWII. ‘You learn so much about where you live and what goes on that you feel responsible to continue this’. ‘I think that taking part in experiences like this can be even more informative than learning about it in lessons, because in this situation you’re learning more about actual people’s experiences’. I am interested in developing this work further, so that workshop participants can come away with the skills and confidence needed to explore spaces, places and people around them independently. Instead of one-off experiences, is it possible to create a culture of curiosity, where understanding events of the past is valued more than it is at present? This will mean using archives and stories more creatively – ‘curating’ material in creative ways to develop narratives which have a resonance for others, beyond the initial participants. How can the ‘responsibility’ that the student spoke about develop into action which impacts on people’s lives in the present day? What kind of infrastructure is needed to support young people to take on this task? What are the best examples of participatory, creative and empowering heritage work? Do share your thoughts! Some of my favourite projects are the ones which pull together lots of the things I love. Last year I worked as a Community Engagement Officer for The Wildlife Trust for Birmingham and the Black Country, and found myself in the lucky position of concocting one such project. 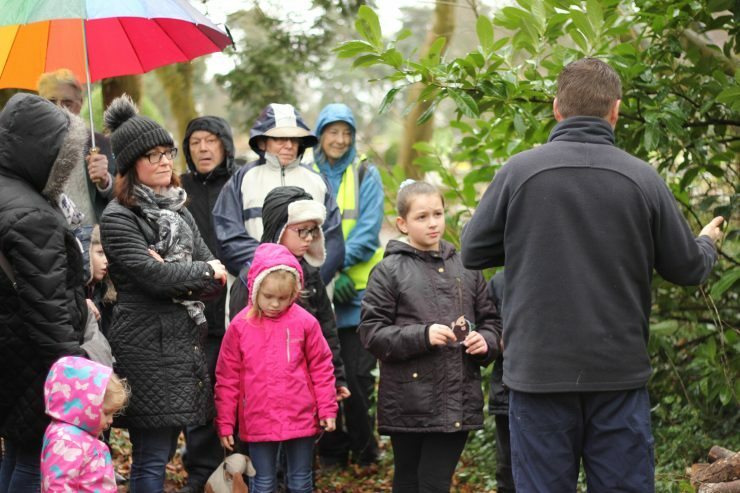 ‘Help for Hedgehogs’ is a Heritage Lottery Fund funded project, focusing on Hedgehog habitats and activity in and around the beautiful Brandwood End Cemetery in South Birmingham. The Friends of Brandwood End Cemetery have worked incredibly hard over the years to develop and celebrate the Cemetery, but wanted to focus on practical steps that they could take to support wildlife in the area. The result is a project which involves conservation work such as creating bug hotels and hedgehog homes, alongside small mammal surveying, art and craft activities, informative talks, knowledge sharing, school workshops and, naturally, community film making. Emma Sargent from The Wildlife Trust has been working alongside some of Birmingham’s Park Rangers to deliver some really exciting, hands on learning. 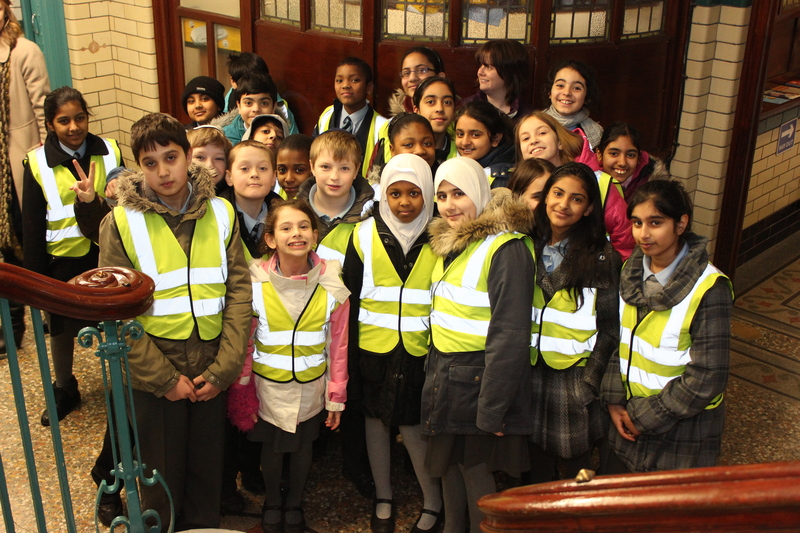 I have been working with pupils at two local schools – St Albans and Woodthorpe Primary – to document the project. 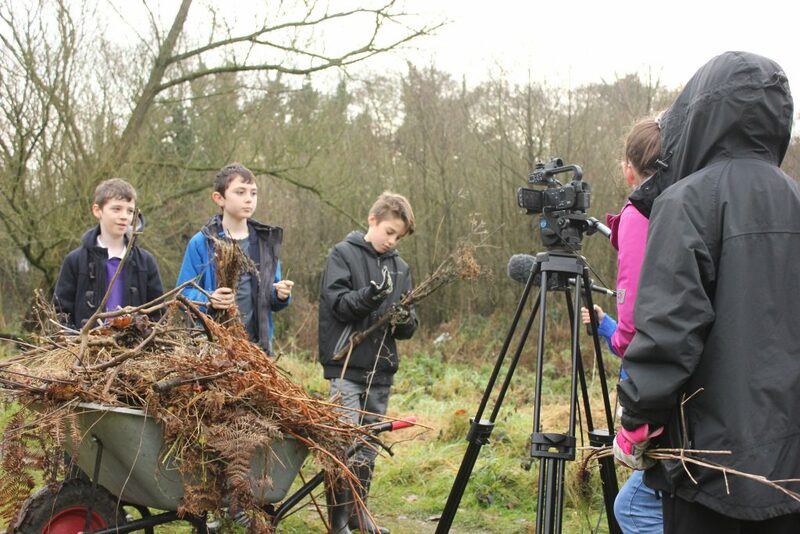 Starting from basic film-making workshops, the pupils then went on to film on location whilst their classmates built bug hotels and hedgehog homes. It always astounds me the speed of the transition between kids nervously approaching a tripod to taking responsibility for directing a shoot! Some members of the crew conducted interviews and presented to camera. Cut holes in fences to allow hedgehogs to travel safely between gardens – they travel around 2km per night! To help The Wildlife Trust map out hedgehog activity there is now an online tool to report sitings. I’m quite chuffed that my parents have recently been able to record a live siting in North Walsall! Go to http://www.bbcwildlife.org.uk/hedgehogsighting and record any ‘hog siting’! The film will be screened in early June – more details to follow nearer the time! So here I’m sat at my desk, looking through scores of photos and hours of footage, wondering how I’m going to pull so much fantastic stuff together. My job, you see, is to turn all of the lectures, interviews, workshops and explorations we have undertaken through our ‘Untold Stories’ project into a finished film for our launch on 13th September. I have rich pickings here. Workshops where we delved into the archive to discover magazines produced by invalided soldiers, photos of injured servicemen following facial reconstructive surgery, lectures on the sheer scale of organisation required to ensure wounded soldiers were treated, genealogy workshops on tracing WW1 casualties, interviews with Korean war veterans, an interview with a serving Military Surgeon, explorations of Highbury Hall with a group of school pupils… it’s fair to say that we have been busy. So perhaps for now I should just share some of my favourite snippets, and save the rest for the film. 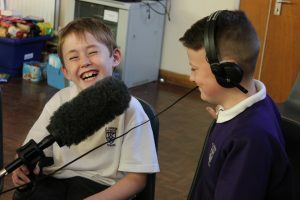 My main involvement in the project has been working with pupils at Swanshurst School to teach them how to conduct Oral History interviews so that they are able to do their own interviews. 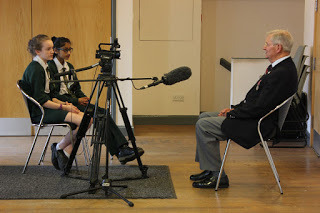 Alongside former History Teacher, Doug Smith, and members of the People’s Heritage Co-operative, we ran a series of workshops to prepare the girls for interviewing war veterans during the school’s ‘Veterans Day’ event. The stories that emerged over the course of Veterans’ Day really highlighted the variety of experiences. One gentleman spoke about his Grandfather being called up to serve at The Somme alongside his horse. Another interviewee highlighted a number of occasions when his father and comrades were injured in the trenches. 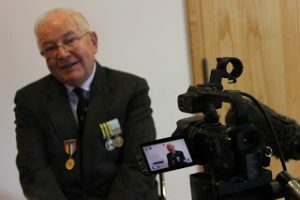 Other interviewees spoke about more recent conflicts in WW2 and in the Korean War. Of course I couldn’t share all of this without also sharing the project film itself! Untold Stories: Birmingham’s Wounded Soldiers from WW1 from Rachel Gillies on Vimeo. I was a keen little dancer as a kid – ballet, tap, stage dancing. A precocious little ball of energy, clad in pink lycra with hair in a tight, tight bun and face caked in blue eyeshadow on the stage of Aldridge Youth Theatre. I loved it, and always get a tingle when I see others experiencing the liberation of leaping about, the point when they are given permission to let go of inhibitions and discover how joyous dance can be. So how wonderful was it to document a project that encourages dance in the middle of lessons? Yes, that’s right. Dance in English. Dance in Maths. Dance in French! And for that to be coupled with seeing professional dancers perform in the middle of your classroom? To have the opportunity to go on a trip to see a live contemporary dance show? Tingly. ‘Discover Dance’, a project developed by DanceXchange and Dance4, brings live professional dance to the classroom and uses dance to engage pupils in learning key subjects in a creative, exciting way. It’s hard to visualise how dance can be relevant to learning about algebra, but as you can see from the film, this works. Pupils use their bodies to explore concepts and ideas that may not make so much sense on paper. It’s fun, and so, so liberating to push the desks to one side. Pupils also have the opportunity to attend a live dance performance, to make connections between what they have learnt in school and the world of professional dance performance in professional venues. Inspiring stuff. I’ve been documenting the pilot project in two schools. The short documentary is now doing the rounds of schools to encourage other schools to participate in developing the project further and bring this wonderful scheme to others. I think it’s a great idea. See for yourself. I’ve worked with the fabulous staff at DanceXchange before – their creativity, vision and commitment to advocate for dance as an art form is wonderful to be around. Jane Ralls, DanceXchange’s Dance Development Director also provided me with this wonderful reference. If you are a teacher and want to learn more then do contact DanceXchange (in the West Midlands) or Dance4 (in the East Midlands). 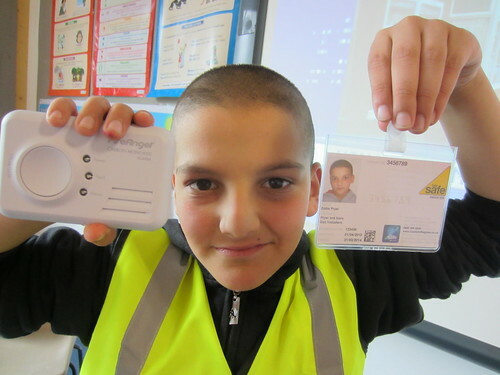 Teachers and pupils were raving about the project – I’m excited to see how it develops! This year has been a pretty shoddy year for blogging. Thankfully that’s because it’s been a fantastic year of increasingly ambitious, interesting film projects with wonderful people. This blogpost is a bit of a round-up with some thank yous thrown in! One of the most exciting and rewarding projects has been finally getting the ‘Pool of Memories’ project underway. After months and months of plotting and planning our funding application to the Heritage Lottery Fund, ‘Friends of Moseley Road Baths’ were able to throw ourselves into implementing an extensive and exciting programme of oral history interviews about the swimming baths and its 104 year history. I’ve been working in schools around Balsall Heath and Moseley to bring History to life for local pupils through using our interactive Virtual Tour website and Pool of Memories archive, then guiding groups through filming their own oral history interviews with members of the public. The response has been wonderful and it’s been difficult to keep a check on my enthusiasm in order for us to actually get the projects done! 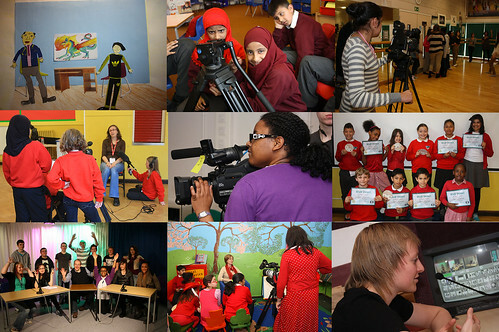 Here is a taster of what we’ve been up to in the six projects completed so far! As the cuts to youth projects began to bite I spent some time with young people at Fox Hollies Forum in Acocks Green producing a short film with them to highlight the need for good quality, safe youth provision in their neighbourhood. The group did a fantastic job of making their case and the film formed part of a wider campaign of lobbying and demonstrations that certainly puts any notion of apathetic young people to rest! Meanwhile pupils in and around Billesley took part in a range of fun after-school clubs organised by the lovely crew over at Balsall Heath’s very own Round Midnight. 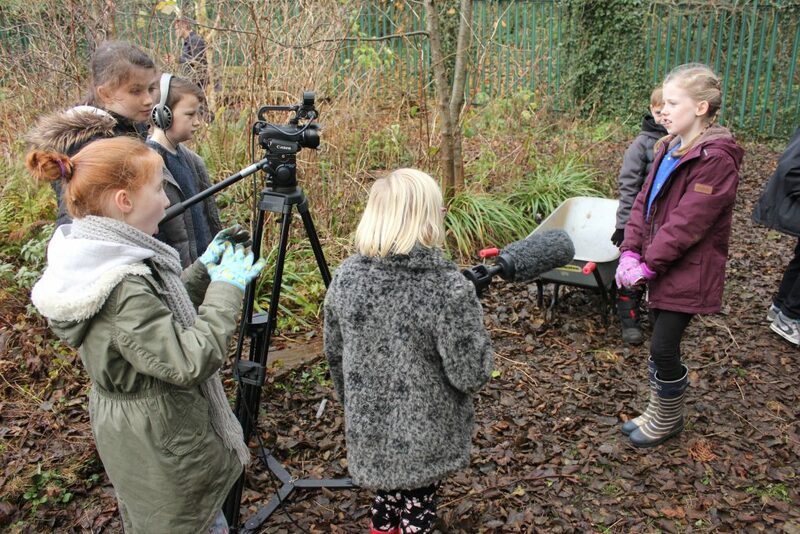 I led a range of film-making workshops which saw Key Stage 1 and 2 pupils getting to grips with using camera equipment and exploring how they can create their own short films. I also joined the gang at Round Midnight to help pupils document arts activities happening at King Edward VI Girls Grammar School in Handsworth. 2011 has also been a year of promoting some important areas of the NHS, specifically services aimed at supporting children and families. The year began with a whopping 10,000 DVDs of my Health Visitor film going into production to be distributed to new parents across Birmingham. As I type there are a further 1,000 copies of a film about the referral process for children with suspected ADHD in production. A third film aimed at young people and carers outlines the health services provided through the ‘Looked After Children’s Health Team’ for children and young people in the care system in Birmingham and will go into production shortly. 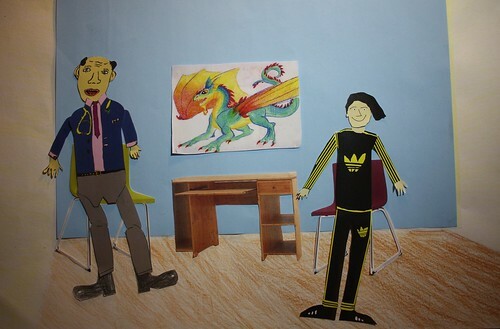 That project involved working with pupils at Firsbrook School in Quinton to create a short animation – loads of fun and my first animation! One of the most fun parts of my job is the opportunity to delve into other people’s worlds. I was really lucky to be able to join a group of three and four year olds in Moorcroft Woods as they explored the woodland through the use of stories, crafts and their own observations. The ‘Forest School’ supported by the Wildlife Trust and run through Rowley View Nursery School is all about getting kids out of the classroom and giving them opportunity to get muddy and let their imaginations run wild. The response from the kids was absolutely wonderful to see and it’s hoped that more schools will grasp the opportunity to get involved in similar schemes off the back of the short promotional film we produced. Finally I made a couple of trips down to London to deliver film-making workshops to the lovely folks at Friends of the Earth. This is one of my favourite bits of work as it’s always hugely amusing to see what adults get up to when they’re given free rein to play with a camera! I’ll leave you with a short film produced in one short hour long session – it shows you what can be created in a short space of time, as well as giving you some tips for your own film-making! Huge thanks to all of the organisations I’ve worked with over the past year and all who have assisted in bringing some great stories and projects to light! Happy film-making for 2011!